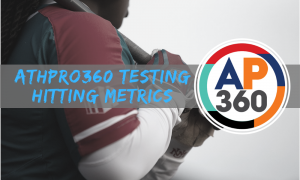 We are breaking down all the areas of AthPro360‘s testing process and why each is important. 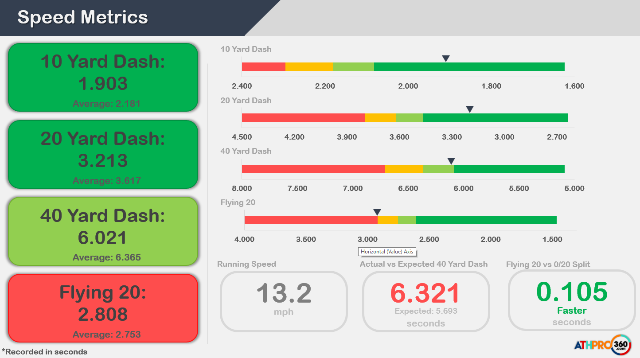 Previously we looked deeper into hitting metrics and terminology, now we move to speed testing. You’ve heard the phrase “speed kills” and that’s never more true than in the game of softball. Speed is also not a skill that is prone to having an “off day” or experiencing a slump; it is crucial for every athlete to work on reaching their speed ceiling to take their game to the highest level. 10 yd: Acceleration and explosiveness. The initial rate of acceleration will determine an athlete’s overall 40 yard time. 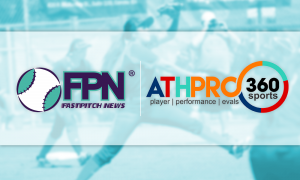 20 yd: Quickness and speed – In softball, the 20 yard dash is equivalent to running from base to base and is a strong indicator of proper technique, strength training, and stride length. Flying 20: Running Speed – Measures the second half of the 40 Yard Dash, also known as the “fly zone.” Athlete’s aim to reach maximum velocity by the time they reach this zone and maintain it throughout the zone. Improving the Flying 20 is key to boosting an athlete’s top speed and developing proper muscle relaxation, force application, stride length, and stride rate at high speeds. 5-10-5: The 5-10-5 pro agility shuttle measures an athlete’s agility, explosiveness, and ability to change direction. The test incorporates the ability to properly accelerate, decelerate, stop, and re-accelerate without losing balance. The Agility Shuttle is also commonly referred to as the 5-10-5 Drill. Athletes first start from a static stance, they then explode out 5 yards in one direction, touch the line, pivot and go 10 yards in the other direction, touch the line, and finally pivot and go 5 more yards through the original starting point. This test is critical for every position on the field. Now while some might say, “so what! she will never run a 40 in softball!”! However that is untrue! Home to second is 120 feet or 40 yards! 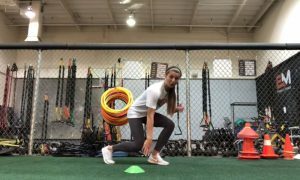 In this case the optimal developmental plan for this player would be to increase her overall strength to impact running speed while maintaining her acceleration and explosiveness. We would try and get her to the expected score of 5.693 in the forty based her ten yard score of 1.903. – Meet AthPro360 owner Bob Surane, here. 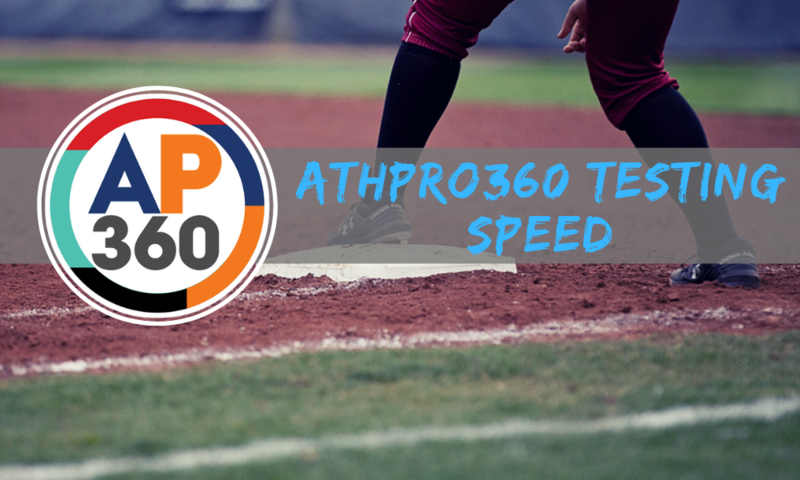 – Hear from USA Athletics on how AthPro360 is elevating the program. – Contact AthPro360 to get your metrics tested!